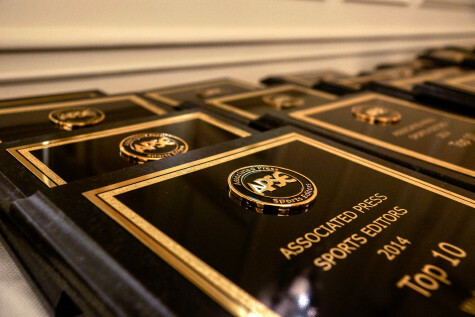 Ryan Wood of the Green Bay Press-Gazette won first place in the Associated Press Sports Editors 2017 contest for explanatory reporting in the 30,000-75,000 circulation category. Wood’s winning entry breaks down how the Packers mastered the art of the Hail Mary. Wood will be presented a first-place plaque at the 2018 APSE banquet. The banquet and awards dinner concludes the APSE Summer Conference June 17-20 at the Marriott Hotel Nashville/Vanderbilt University. The second- through 10th-place winners will receive frameable certificates. APSE’s explanatory category spotlights stories covering trends, issues and original ideas that shed new light on issues and personalities in the news.